Today we want you to meet our music heroes who are all world famous natives of Liverpool band The Beatles, and today we are going to understand what are the best songs of The Beatles. We know this team is not just the greatest in the music, but also it is part of the music. 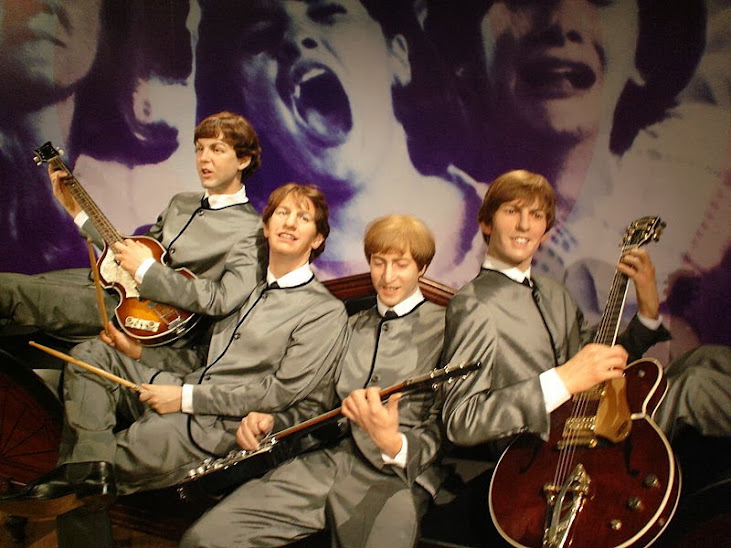 This “Fab Four” had among its fans almost the entire globe, who listened, and worshiped, and the Beatles did it all in just ten years of operation. They were not only popular when it was so long ago when it was the 60’s, 70’s, but even today this group has its own audience, and not only among adults but also among the younger generation. Opens our Top one of the most winding of songs The Beatles, “Twist And Shout”. In fact, the original of this track belongs to the American team Top Notes, and the song was written by American authors Phil Medley and Bert Russell. However, the young team of Top Notes not showing promise, and eventually retired from the music world. Beatles in meantime just decided to record a cover of this song, which later also went on their debut album. The song became very popular, and in the 80s, even took the high line charts. This song, unlike the previous one, has been written by John Lennon and Paul McCartney. It became part of the band’s sixth studio album “Rubber Soul”. “In My Life” has over their shoulders a lot of titles, for example, it takes 23 place in the list of “500 Greatest Songs of All Time” by the magazine Rolling Stone, while some other Canadian and British magazines and radio stations generally have made it to the list the best songs of all time in the first place. This song is practically all you need for that would be popular and memorable. See for yourself. This track belongs to the tenth studio album of the same name The Beatles. In the list of 500 greatest songs (by Rolling Stone), this song is on the 135 line, which seems to be no better than the previous song. However, we have the same blog Alternative music, and in the list of the 100 greatest guitar songs she is No. 7. On top of that, it made a huge interest among the audience because of its theme of realism, and effervescent solo, performed by Eric Clapton. “While My Guitar Gently Weeps” rises in the eighth line of Top 10 best songs of The Beatles. A song written by Paul McCartney . According to some, it is considered one of the most innovative and radically changing the entire scope of popular music even now. Yes, definitely modern musicians can learn from the Beatles. During the writing of this song in a group of some confusion reigned, which began after the album “Rubber Soul”. On the track there is much that is different from the constant genre The Beatles, and there is a proportion of the orchestra, ballads and melody, and the avant-garde. One can go to choose the best songs of the Beatles, but they have one song that simply has to enter a list of the best, and no matter on what line, or at what point, and simply must. This song is just “Here Comes the Sun”. It was written by George Harrison for the album “Abbey Road”, which was the last for this group, and in turn, the song became the most significant for the album. During the recording of the song is almost split the group, John Lennon is no longer involved in the writing of this song, though not because of the care and treatment due to injuries from a car accident. TOP 5 best songs of The Beatles opens composition titled “Strawberry Fields Forever”. The composition has been recognized as the best by many critics, and even now some of them still adhere to its long the selection. In many ways, this is a track designed in the psychedelic style, serves as an example for most modern bands performing the same genre of music. The name of the song was even used as the name of one of the memorials in Central Park in New York. There may not be a man in this world who once would not have sung a couple of words or by humming a tune to himself of this song. Yes, it is able to meet the melody in my head. Well, if the case, then this is the composition, according to some opinions, is one of the first rock ballads. Although the performance of this track is listed only Paul McCartney and a small string quartet, it is still listed the song is just a band The Beatles. By law, it is considered one of the most popular songs. The song was sold out on large-circulations , and was scrolled on TV and radio more than one million times (to be precise that more than 7 million times. The song belongs to the album “Sgt. Pepper’s Lonely Hearts Club Band”, and is widely regarded as the best in the album, and the best in all the repertoire of the Beatles, and, according to some critics, it generally is the best song in the history of sound recording. According to the magazine Rolling Stone, the track in 26th place in the ranking of the top 500 songs of all time, and the first line in the list of 100 best songs of The Beatles. However, we have it unpacked for a third line (believe me, more interesting. In the second place there is a lot of favorite Beatles song, “Let It Be”. If in fact, it is the latest single released by the band as a little later, Paul McCartney announced his retirement. Immediately after the song, she was in the same name of the album. Not long after the first performance of the track, he got to the first place of all the European charts and ratings, and sat there for a very long time. As many have guessed, the first place in our top best songs of the Beatles we have the very famous song “Hey Jude”. Despite the fact that the song was dedicated to John Lennon’s son, Julian (then divorced family), she received the incredible popularity. Immediately after the release, the song won first place in the charts of the largest in the world. The track is considered the most cult hit, and for the current tour, Paul McCartney, this song is considered a highlight of the performance. Today we have selected 10 of the best songs of The Beatles. As you know, each person have their own opinions, your preference list may be different from these. You can always comment here to show what YOU like. This list could go on and on. But I like the ones you’ve chosen for the list.